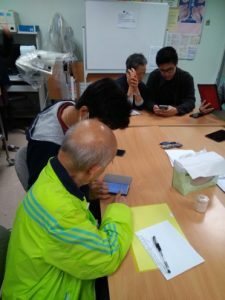 Our service course mainly focuses on helping the elderly become more familiar with using their smartphones. 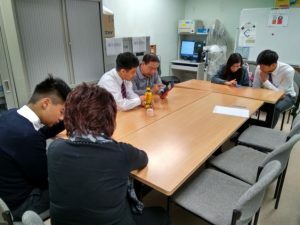 At the start of the course, a lot of the participants had no idea how to operate their phones, how to call their friends and family, or how to use social media platforms like Facebook and WhatsApp. Through our help, they have gradually improved, and can now use their smartphones with ease. We are grateful for this opportunity to serve the community, and will be very willing to help those in need when given the chance in the future. Participants of this service course generally felt that they had achieved goals that aligned with certain CAS learning outcomes, such as demonstrating that challenges have been undertaken and have developed new skills in the process, showing commitment and perseverance, and demonstrating the skills and recognizing the benefits of working collaboratively. They feel that the skills they’ve learnt from this course will be greatly useful later in life. I am Adrian Wong of 10G, currently an IB student at Diocesan Boys’ School. As a student who has participated in the service course, I agree with what other participants have said about the course, and what goals they have achieved. Specifically, there has been an improvement in my communication and teamwork skills. There were times during the course when I felt that teaching the elderly was hopeless, because they couldn’t understand what we were saying and often forgot our instructions. I was quite frustrated at this problem and blamed the elderly for that. Then I realized that I was at fault too, for not giving clear instructions and calling it a day after only a short service time. 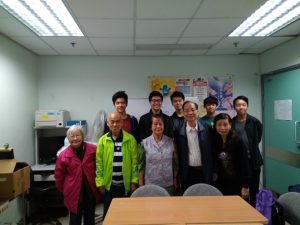 My attitude then changed for the better, and I found it much easier to work with the elderly and my classmates than before, which benefited both sides. I could converse more freely with the elderly, and we got things done at a faster rate than before. This shows how I have improved my communication and teamwork skills, and is evidence of me undertaking challenges and learning to work collaboratively to achieve the best results.